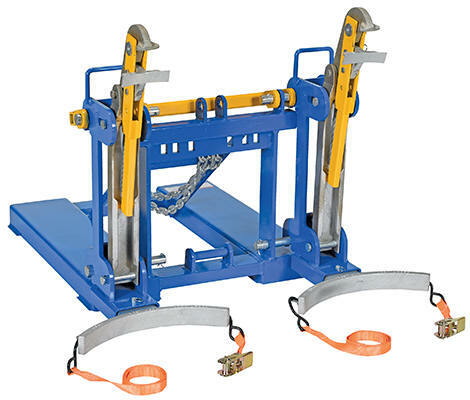 This time tested and proven design allows a fork truck operator to easily secure, move, and release drums without leaving the seat of the fork truck. 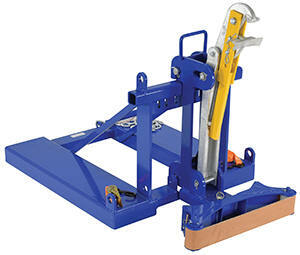 For use with open (lid installed and secured) and closed head 30 and 55-gallon plastic, steel and fiber drums with a top lip strong enough to support the weight of the drum. 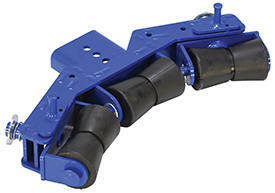 Choose single-drum or double-drum configuration. 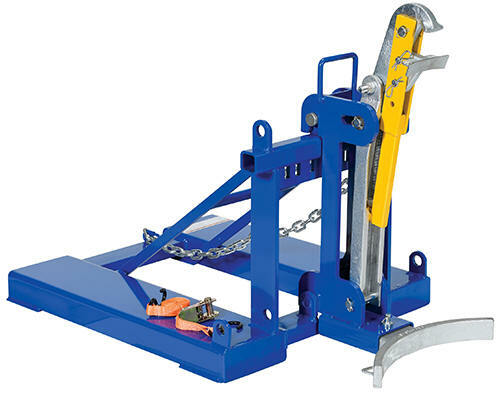 Includes safety restraint to secure unit to the fork truck. Welded steel construction. Powder coat finish. 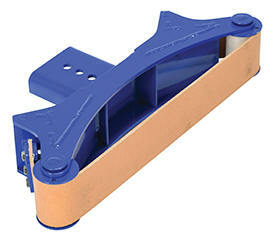 Fork pockets measure 7-1/2" wide x 2-1/2" high usable on 20-1/2" centers. 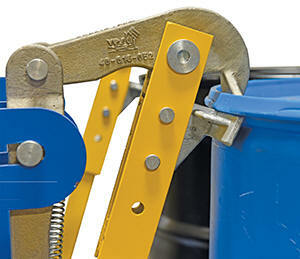 A ratchet strap is supplied to secure the drum to the unit when traveling over rough terrain. FMDL-1 and FMDL-2 meet OSHA 1910-178 requirements.